Castlevania is making a comeback. Well, kind of, right? A kinda-comeback? Konami is pumping out re-releases and anniversary collections in an attempt to prop up the series again, and Bloodstained was created in response to people’s love for the series. Lest we forget another huge Castlevania love letter: Smash Ultimate‘s inclusion of Richter and Simon, on top of a Dracula’s Castle stage and plenty of ‘Vania music. Smash is honoring that alliance this weekend, as it’ll kick off a “Spirit Nocturne” event starting on April 19. 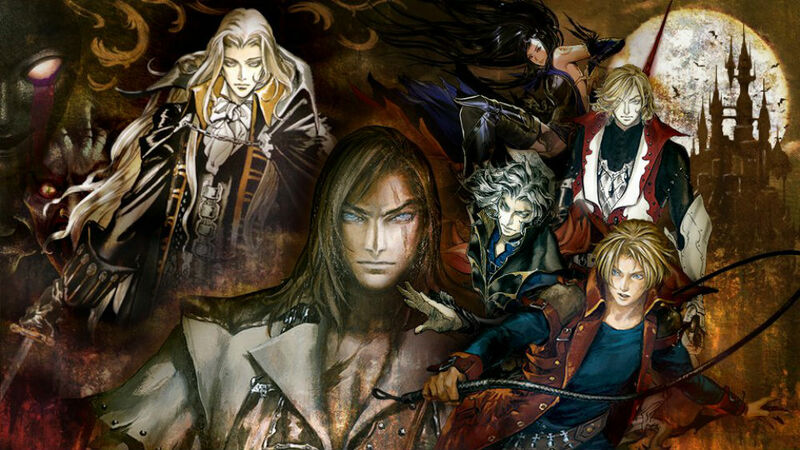 Higher gold rates are promised for this three-day event, which will feature many of the pictured, non-playable (or in Alucard’s case, an assist) characters from the Castlevania realm in spirit form. To be frank I wouldn’t mind seeing a Castlevania boss as DLC at some point. I know they kind of already ruined the chances of that with the boss appearances in the aforementioned Dracula arena, but I’m holding out hope for a straight-up Death DLC fighter.